After losing myself in the amazing Cloud Forest and Flower Dome, I realized I had to fill my tummy or risk dying from hunger. OK, I am exaggerating, but I was really, really hungry. 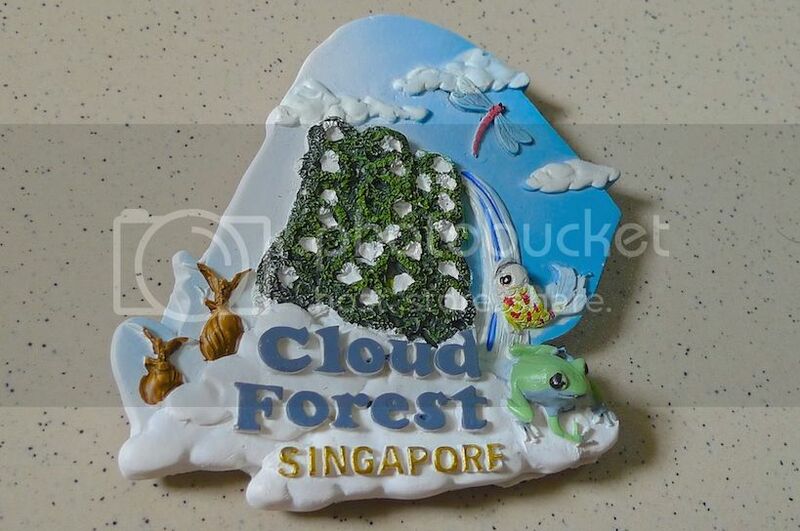 Perhaps I burnt way too many calories walking the Gardens by the Bay and continued to burn even more walking the Cloud Walk. LOL! In any case, I managed to meet up again with my friend Jim and we decided to have our late lunch at the Peach Garden Noodle House. 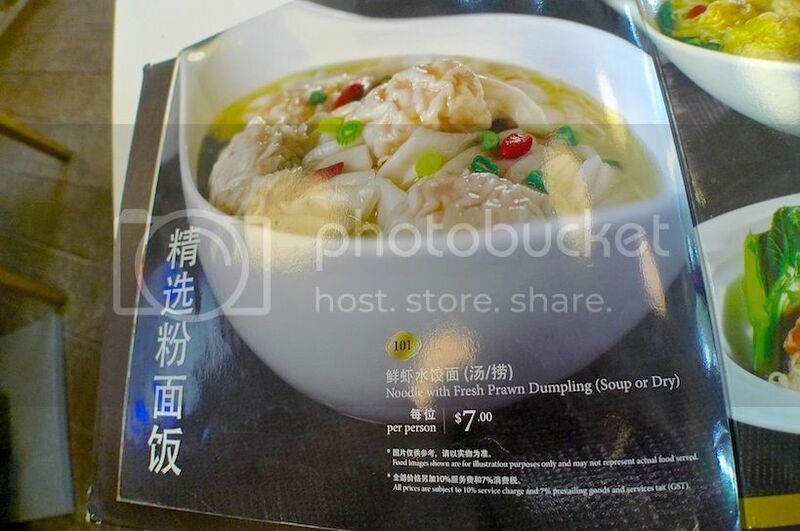 Located near the Supertree Grove, the Peach Garden Noodle House looked like a casual Chinese restaurant. 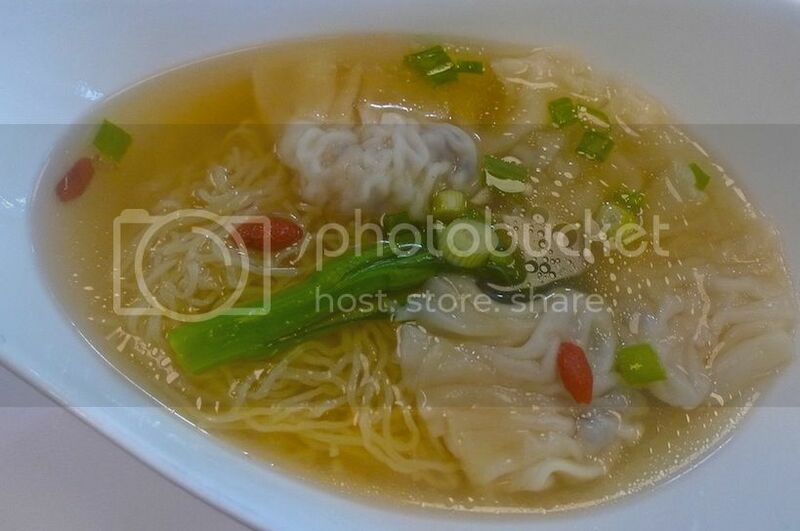 I saw a photo of the Noodle with Fresh Prawn Dumpling in the menu (above) and immediately decided on that. But when my orders came, it looked like this. Didn't quite look like the picture in the menu but the taste was not bad. The prawns were fresh and juicy. However, at SGD7 (RM17.30 / USD5.60) it was a little pricey for me when converted to Malaysian ringgit. 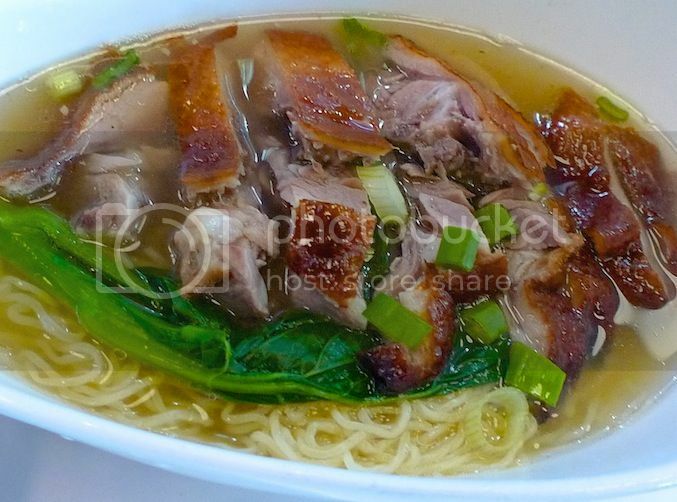 Jim ordered Noodle with Roasted Duck, priced at SGD7.80 (RM19.25 / USD6.30). We both had coconut drinks. 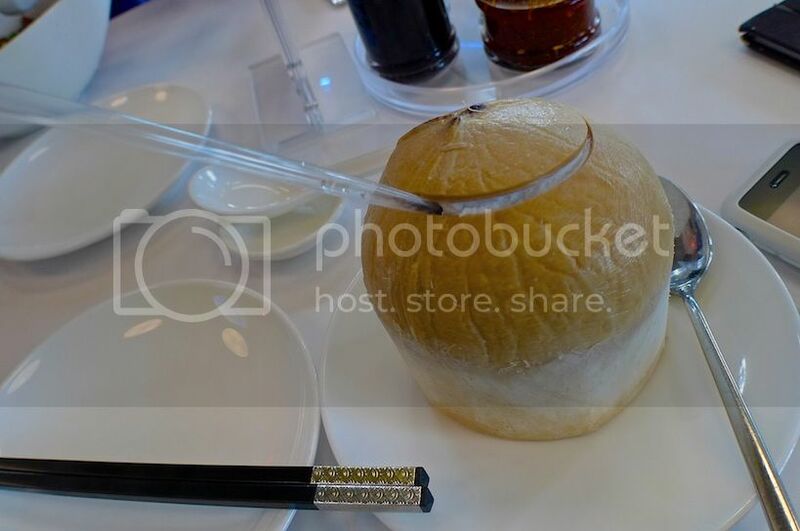 Each coconut was priced at SGD4 (RM9.90 / USD3.25). Again too pricey for Malaysians, and that's not even including the 10% Service Charge and 7% GST! Well, I guess I had to accept it. 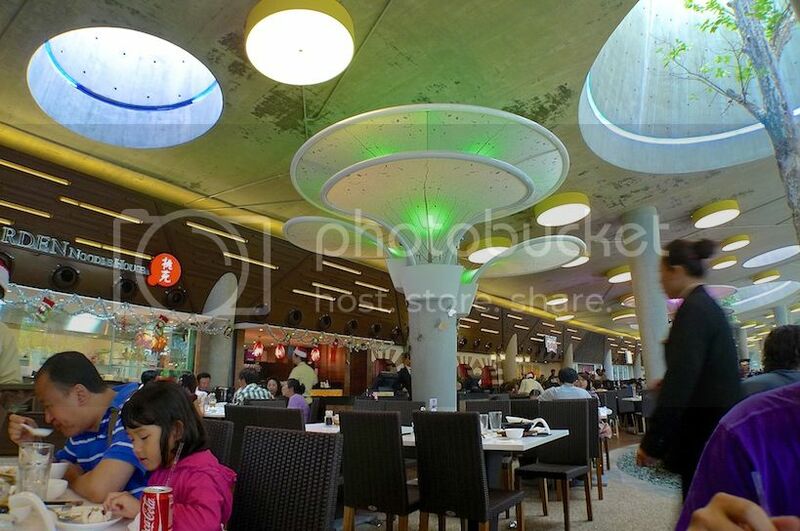 I like the interior of this restaurant. The tree-shaped decorations look unique. And there were real trees which grew under a hole in the ceiling that let in sunlight. Having filled up our tummies, it was time to leave Gardens by the Bay and cross over to the famous Marina Bay Sands!